The Ekiti State Government has restated its commitment to ameliorating the plight of pensioners in the state and would soon come up with a creative ways to clear unpaid gratuities that had accumulated over the years, reports ITREALMS. 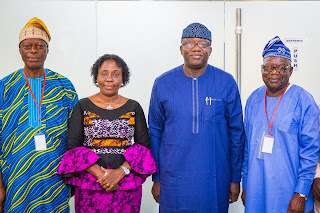 The pensioners led by their state chairman of the union, Elder Ayo Kumapayi, had paid the Governor a visit to congratulate him on the recent Court of Appeal victory and to thank him for the regular payment of their pensions monthly since October 2018. According to him "The three areas that you highlighted, we would take a further look if the six percent and 15 percent were stopped in February 2015 soon after we left, we would take a further look at it. "On the 100 million naira increase in the gratuity fund, when I came to you during campaign, we were talking about something even broader than that, we were talking about a bond that will be organised in a manner that we can pay off the outstanding obligation the state has, then we would have to find ways to repay the bond. He said "I am particularly pleased that you are taking a broader look at support mechanism for your members, a wellness centre is a very well thought idea and I recalled that we've discussed at some point, the possibility of a facility, a home, of course, we are not used to White man attitude of going to a home, we want to take care of our elderly in our own way as much as possible. Facilities that can be a community for elderly pensioners used for recreational purposes. So your wellness centre definitely is something that can fit into that idea of a recreational facility for pensioners and elderly in Ekiti state. "I find the idea of your type of early child's scheme for pensioners who are obviously over 60 years, I think it's a great idea and we have to explore that. Pic: L-R: Secretary, Nigeria Union of Pensioners; Deacon Dapo Omotoso, Ag. 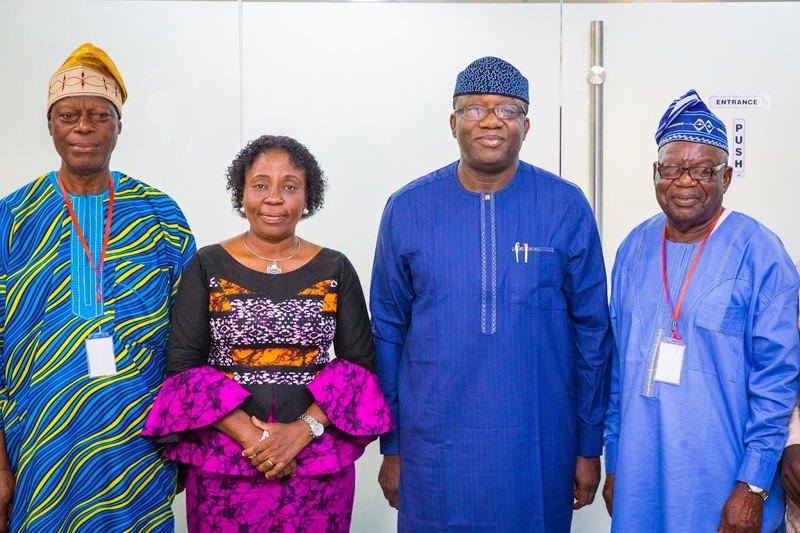 Head Of Service, Ekiti State; Mrs. Peju Babafemi, Ekiti State Governor, Dr. Kayode Fayemi and Chairman, Nigeria Union of Pensioners, Ekiti State Chapter; Elder Ayo Kumapayi, during a meeting of executives of the union with the governor last weekend.